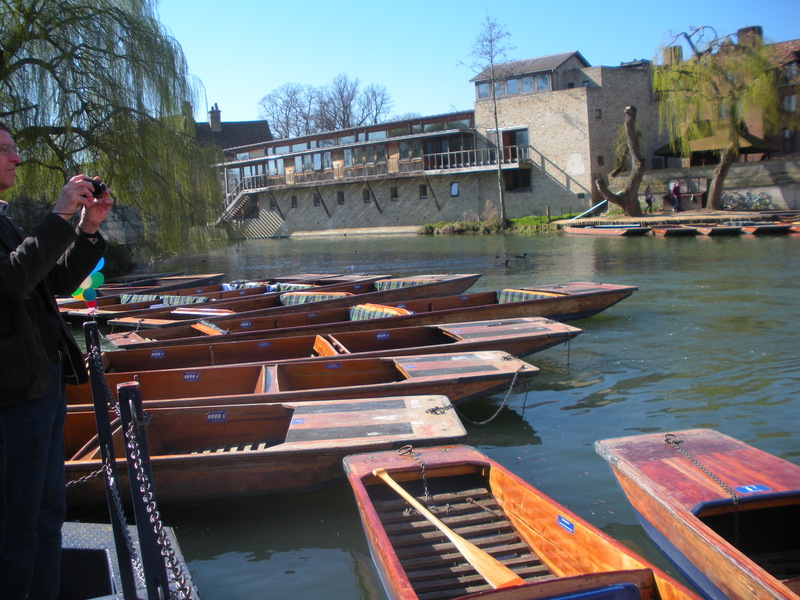 Behind the main line of colleges in Cambridge, along the River Cam, are the Backs (so-called from being the backs of the colleges). 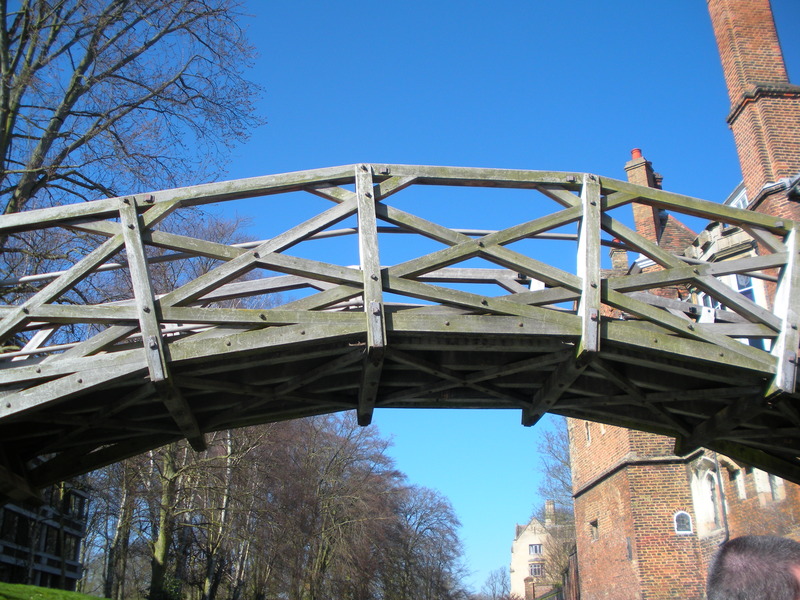 Each college owns its own part of the river banks, so it is not possible to walk along the river by the Backs, but you can walk through the college and cross the river by their bridges. 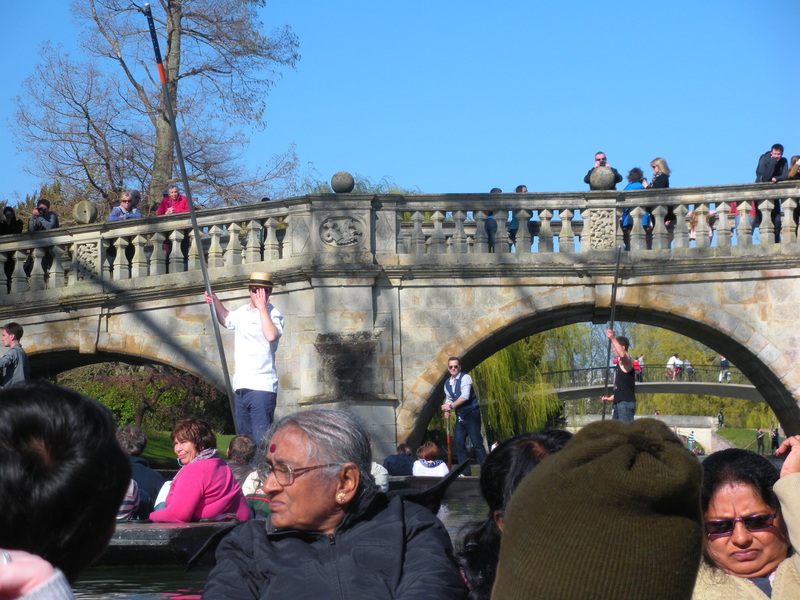 The public bridges are Magdalene Bridge (pronounced ‘maudlin’), Garret Hostel Bridge (pedestrian and bike only) and Silver Street Bridge. You can walk along Queen’s Road, catching glimpses of the colleges through the trees. 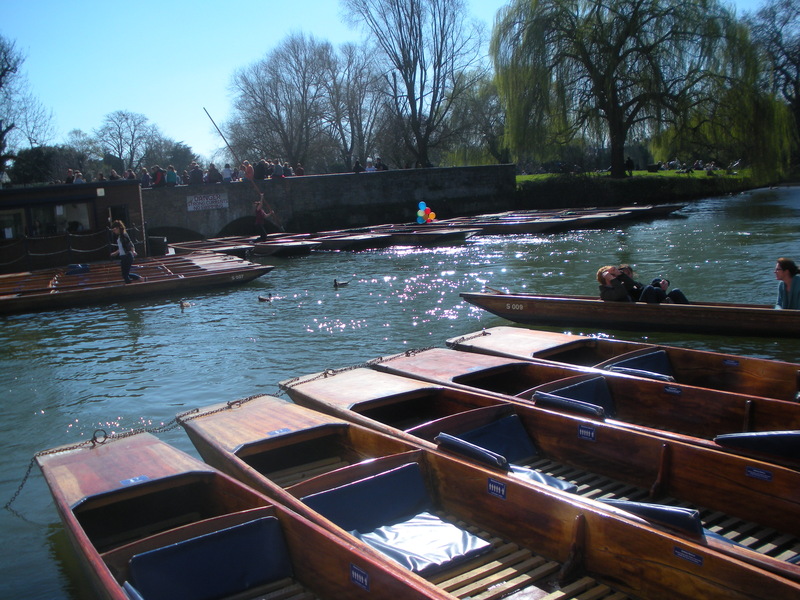 The best way to see the Backs is from a punt, a flat bottomed boat which is poled along. 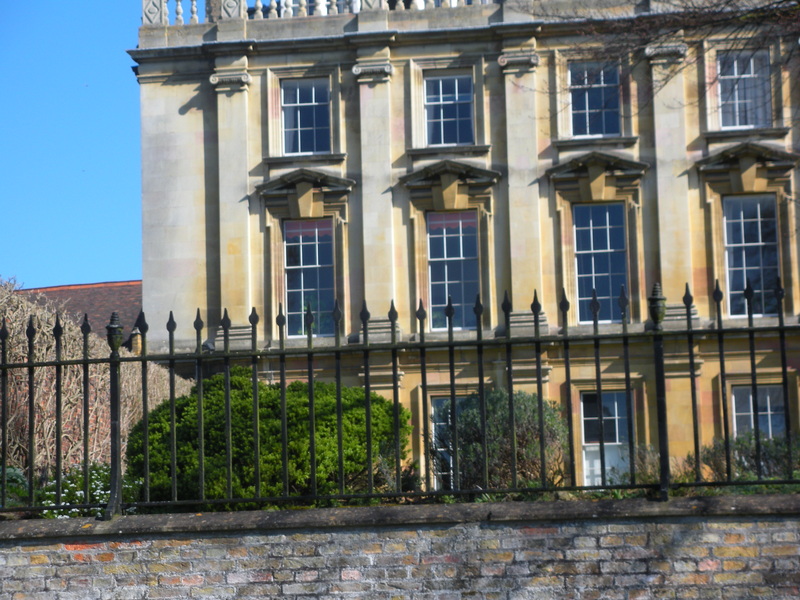 Many tourists visit Cambridge each year to see the historic university, its buildings and the beautiful Backs. 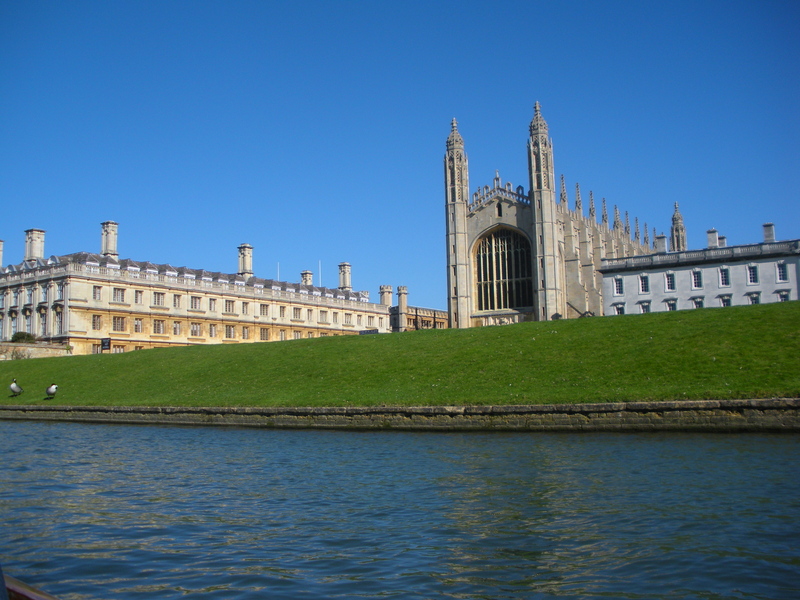 King’s College Chapel is the most famous building in Cambridge. 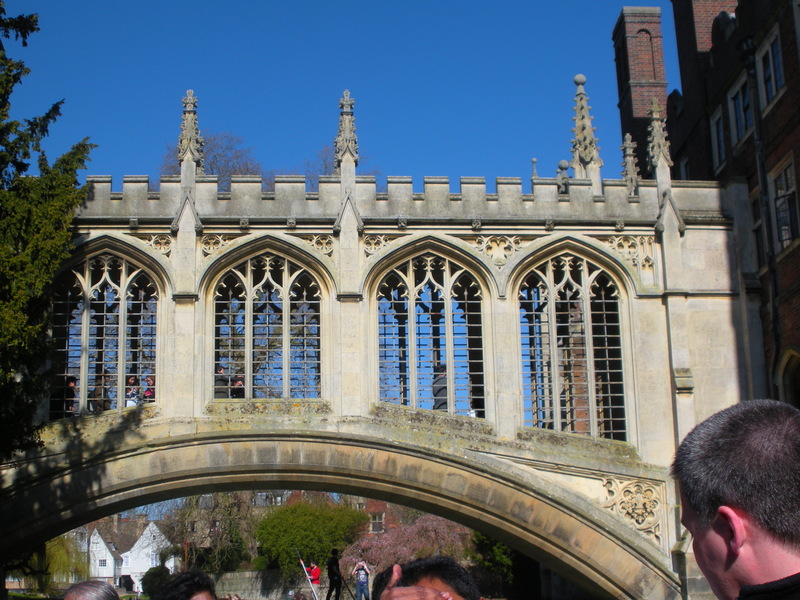 Cambridge University is made up of different colleges, some of which have old and beautiful buildings. The colleges’ buildings are usually arranged around courts. It is possible to walk round some of these and visit chapels and halls. 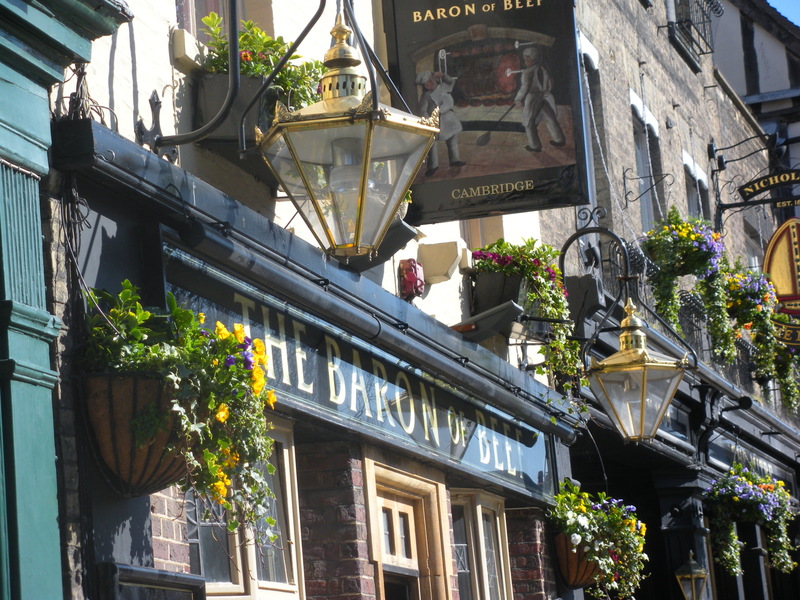 There are also many fabulous restaurants and great shopping. It is a wonderful day trip if you happen to be in the area! This entry was posted in England, history, holidays, London, sports, travel and tagged Cambridge, England, History, Holidays, Shopping, travel. Bookmark the permalink. Great photos and info. sounds great wish I had known about it when we were there a few years ago.